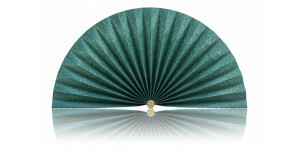 Green With Leaves Pleated Decorative Fan..
Blue With Silver Flowers Pleated Decorative Fan..
Green With Gold, Burgundy And Blue Floral Pleated Decorative Fan..
Gold, Navy, Hunter Green, Burgundy Pleated Decorative Fan.. 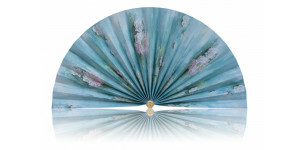 Dark Olive With Salmon Colored Flowers Pleated Decorative Fan..
Baby Blue with Flowers Pleated Decorative Fan.. 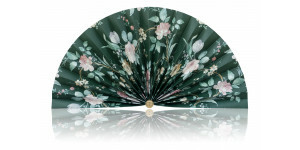 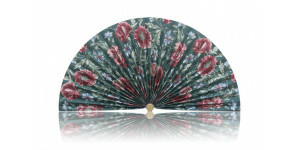 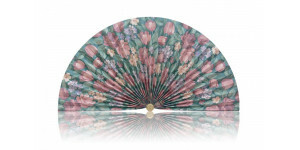 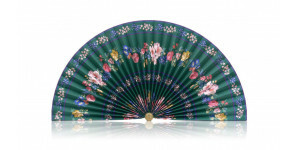 Hot Pink Tulips With Turquoise, Gold Leaves Pleated Fan.. 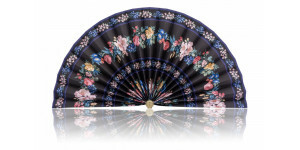 Dark Teal With Dark Purple Flowers And Purple Stripe Fan.. 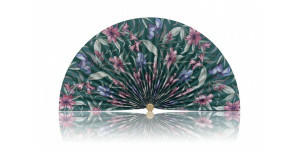 Dark Teal With Dark Purple Flowers Decorative Fan..
Navy Blue Burgundy Jacobean Flowers Pleated DecorativeFan..
Fox Hunt Scene With Green Background Pleated DecoraiveFan..
Teal green with plumb/purple strip border Pleated Decorative Fan..
Teal With Purple Flowers Green Leaves Pleated Decorative Fan.. 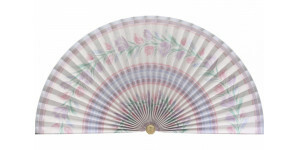 Plum With A Pinky Purple Flowers Pleated Decorative Fan..
Yellow With Pink Flowers Pleated Decorative Fan..
Rose Moire Pleated Decorative Fan.. Lavender Moire Pleated Decorative Wall Fan..
White with Embossed White Flowers Pleated Fan..
Teal Moire Pleated Decorative Fan..
Light Green with Mauve Tulips Pleated Decorative Fan..
Silvery-Gold With Dark Plum And Teal Flowers Pleated Fan..
Blue Marble with Accents Pleated Decorative Fan..
Black With Dark Blue And Dark Purple Splashes Pleated Fan..
Light Pink And Purple Flowers Yellow Lavender Border Pleated Fan.. 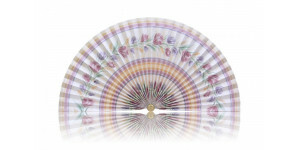 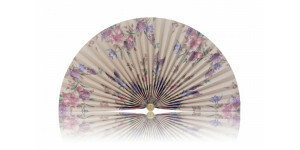 Lavender Stripe with Pastel Flowers Pleated Decorative Fan.. 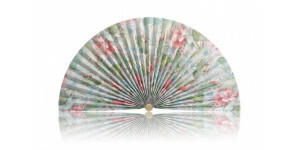 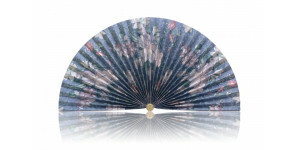 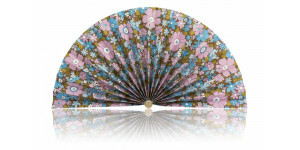 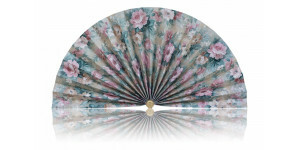 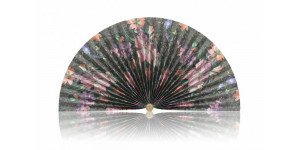 Pastel Blue Yellow and Pink Flowers Decorative Fan.. Beige with Lavender, Purple, Pink, Mauve Flowers Decorative Fan..
Teal Stripe With Multi Color Flowers Pleated Fan..
Teal With Gold Flowers And Teal Stripe Pleated Fan..
Teal/Hunter With Blue And Burgundy Flowers Pleated Fan..
Gold with Multi Colored Flowers Decorative Fan..
White with Pink Flowers and Green Leaves..
Party Balloons Pleated Decorative Fan..
Iridescent Blue with Multi-Colored Flowers Pleated Decorative Fan..
Teddy Bears Pleated Decorative Fan.. 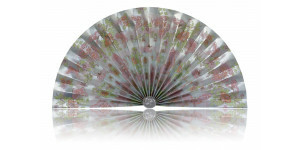 Pastel Tropical Flowers Pleated Decorative Fan..
Off White with Wavy Vine Stem and Burgundy Seeds..
Seafoam Green with Birds Pleated Decorative Fans.. 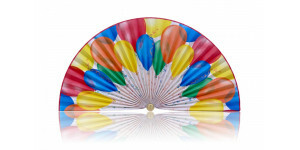 Beige with Victorian Hot Air Balloons Pleated Decorative Fans..
Light Yellow with Aphrodite Sweetshrub and Green Leaves Fans..
Gold with Red and Blue Roses Pleated Decorative Fans..
Black with Plum Iris Flowers and Gold Leaves..
Black with Charcoal Grey Highlights Pleated Fans..
Black with Blue and Purple Stripe and Vibrant Florals Decorative Fans..
Black with Gold Marble Accents Pleated Decorative Fans..
Black with Gold Roses and Silver Leaves..
Royal Blue with Filigree Pleated Decorative Fans..
Blue Denim with Hashes Pleated Decorative Fans..
Iridescent Blue with Coper Green and Blue Leaves Pleated Fans.. 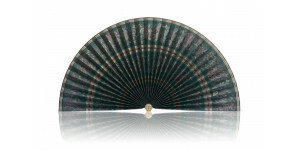 Dark Hunter Green with Dark Green Accents Pleated Fans..
Light Teal Green with Light Floral Patterns Decorative Fans..
Blue-Grey-Green Moire Pleated Decorative Fans.. Deep Plum with Plum Accents.. Deep Burgundy with Burgundy Accents Decorative Fans..
Burgundy Marble with Burgundy Accents Pleated Decorative Fans..
Gold with Roses Accent Pleated Decorative Fans..
Gold with Silver Accents Pleated Decorative Fans..
Leopard Pattern Pleated Decorative Fans..
Silver/Gold with Burgundy and Blue Flowers Pleated Decorative Fans.. 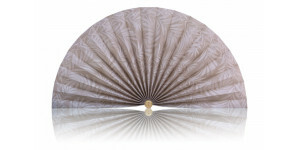 Beige Accents with Gold Roses Pleated Decorative Fans.. 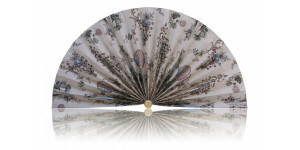 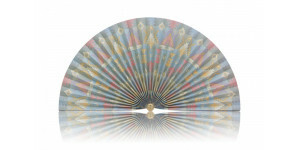 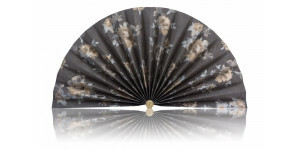 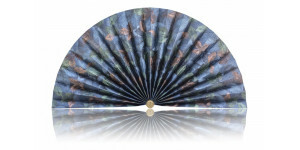 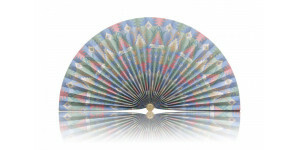 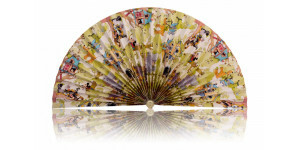 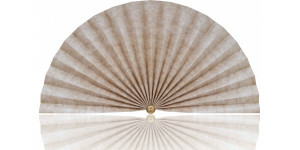 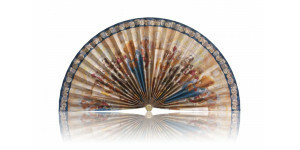 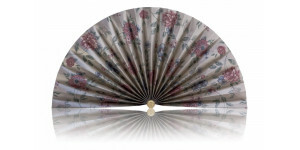 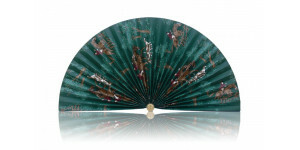 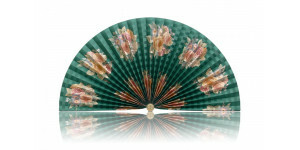 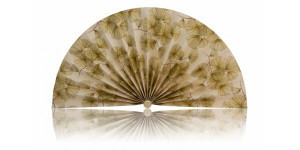 Beige with Gold Accents Pleated Decorative Fans.. 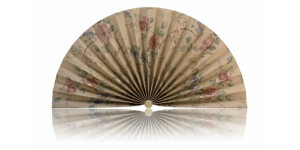 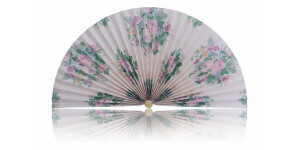 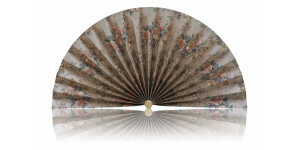 Beige with Pink Flowers and Teal Leaves Pleated Decorative Fans..
Vintage 1970's Paper. Beige with Green and Brown Geometric Flowers Pleated Fans..
Blue with Water Lilies Pleated Decorative Fans..
Vintage 1970's Paper. Green with Yellow and Orange Flowers Accent Fans..
Vintage 1970's Paper. 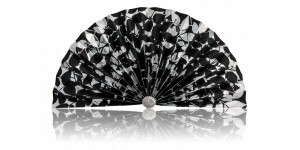 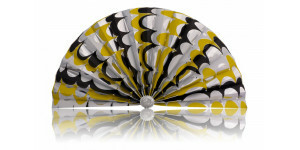 Silver with Black Yellow and White Accents Pleated Fans..
Disney Treehouse Pleated Decorative Fans.. 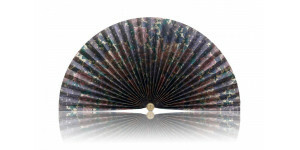 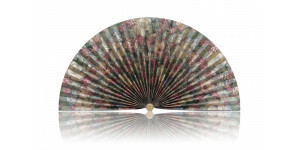 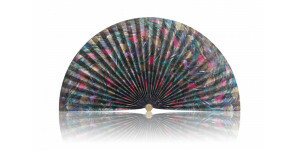 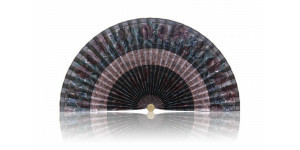 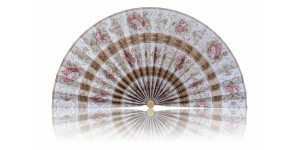 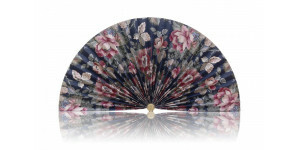 Pink Marble Pleated Decorative Fans.. 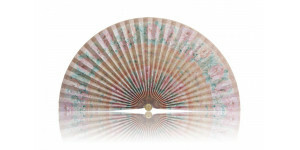 Pink Stripe with Floral Accents Pleated Decorative Fans..
White with Gold Stripe and Pink Roses Pleated Decorative Fans..
Seafoam Green Stripe Moire Pleated Decorative Fans..
White Stripe with Blue and Grey Accents Pleated Decorative Fans..
White with Hydrangeas and Green Leaves Pleated Decorative Fans..
Yellow Crackle with Lavender and Taupe Flowers Accent Fans.. 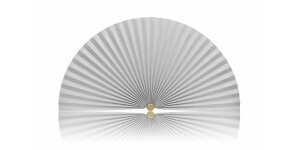 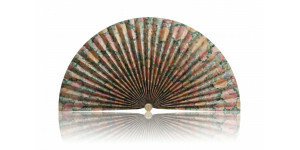 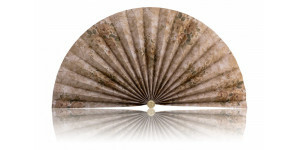 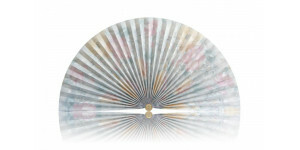 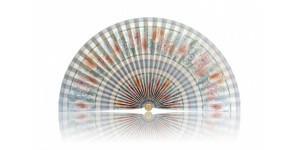 Beige Marble Accent Pleated Decorative Fans.. Beige Marble Accent and Hashes Pleated Decorative Fans..
White with Light Colored Florals Pleated Decorative Fans..
Taupe with Japanese Style Accent Decorative Fans..
Silver with Black Leaves Pleated Decorative Fans..
Vintage 1970's Paper. 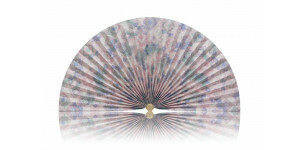 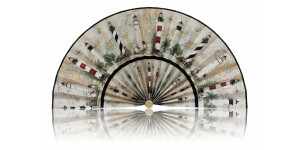 Taupe with Pink and Blue Florals Accent Fans..
Hunter Green with Pink Flowers Pleated Decorative Fans..
Yellow Striped Fan with Flowers Pleated Decorative Fans..
Light Blue with Brown Floral Accent Pleated Decorative Fans..
Blue with Pink Floral Accent Pleated Decorative Fans..
South Carolina Lighthouse and Map Pleated Decorative Fans.. 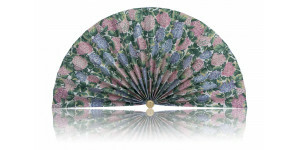 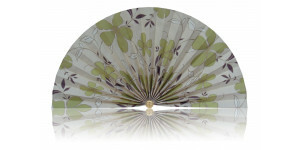 Beige Stripe with Green Flower and Plum Leaves Pleated Decorative Fans..
Silver Foil with Pink Butterflies Pleated Decorative Fans..